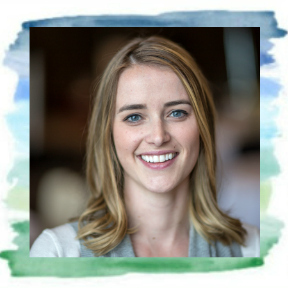 With a little family to call our own, we're all about creating new family traditions. 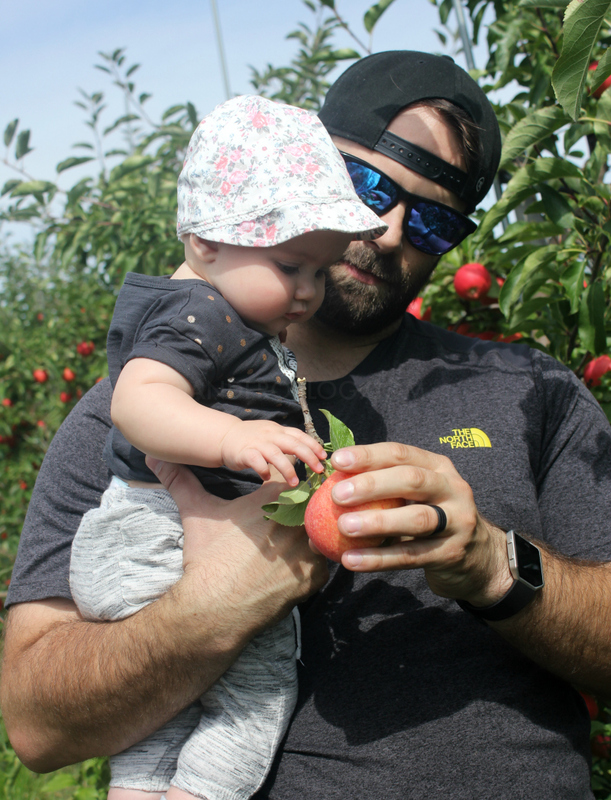 We started at the end of the summer, with a trip to the CNE, and now, we're moving into fall with a visit to the family cottage and a trip to the orchard to go apple picking, the perfect fall family activity. 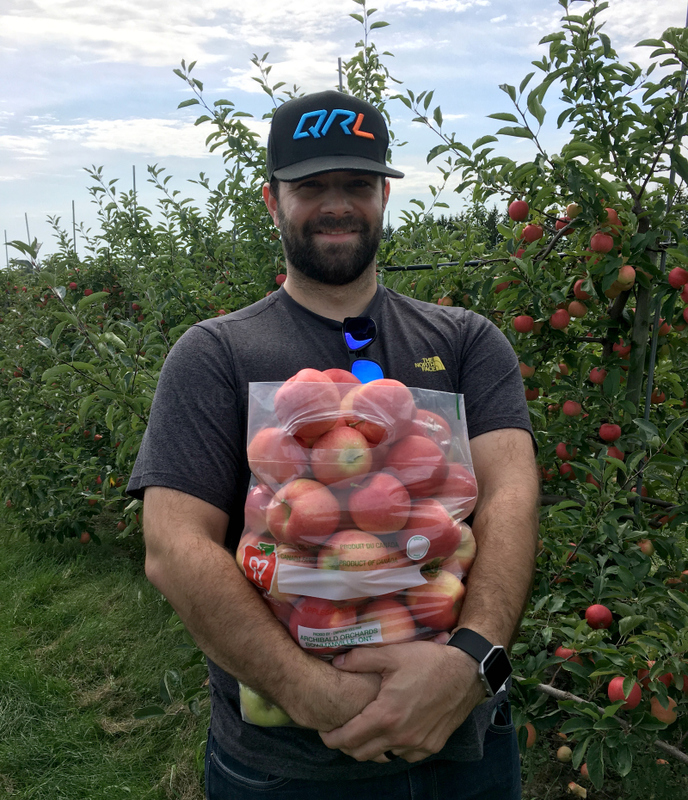 There are several orchards located just outside of the greater Toronto area, so choosing which one to visit was difficult. 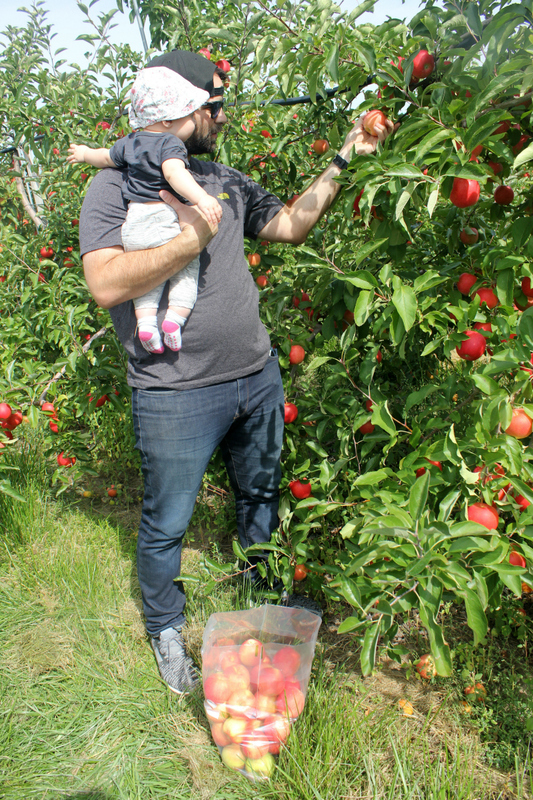 When I searched for recommendations, I came across Archibald Estate Winery & Apple Orchard, located in Bowmanville, approximately 45 minutes east of where we live. Like the name suggests, it is not only an apple orchard, but also an estate winery. I was sold. We chose to visit mid-day during the week. Smart move on our part as we were only one of three cars in the orchard. We had the whole place to ourselves and it was amazing! 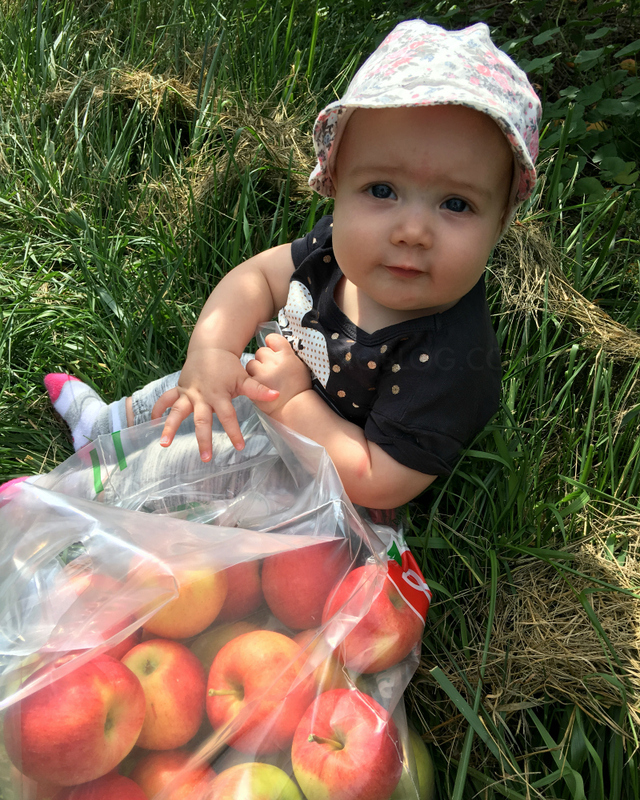 We filled our half bushel bag with 20 lbs of honey crisp and gala apples, perfect for making my infamous apple crisp and homemade applesauce for Miss Morley. 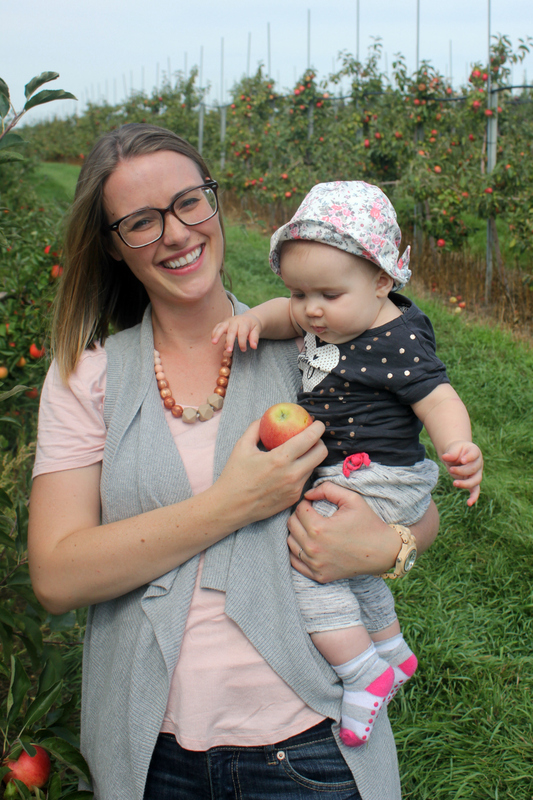 We enjoyed walking up and down the rows of apple trees and teaching Morley how apples are grown, whether she understood or not. 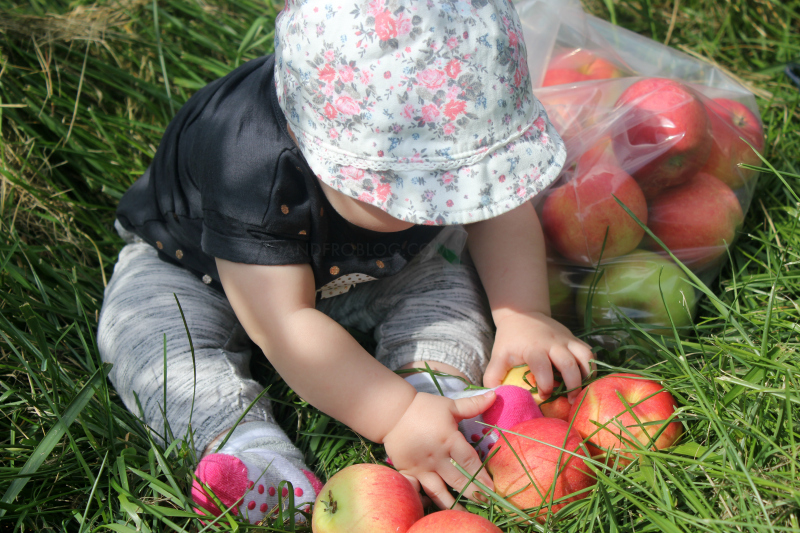 She loved sitting in the grass and playing with the freshly picked apples. 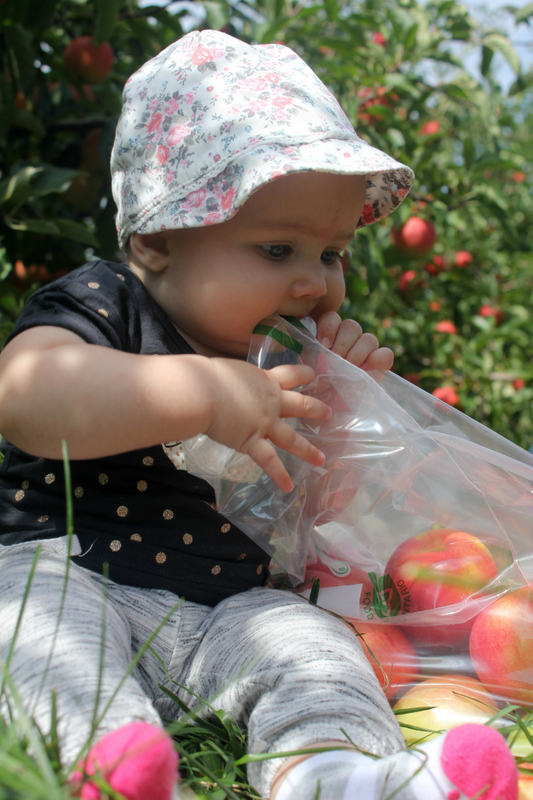 After filling our bag, we ventured into the winery to sample the wine and cider made with local fruit and apples grown just steps away. 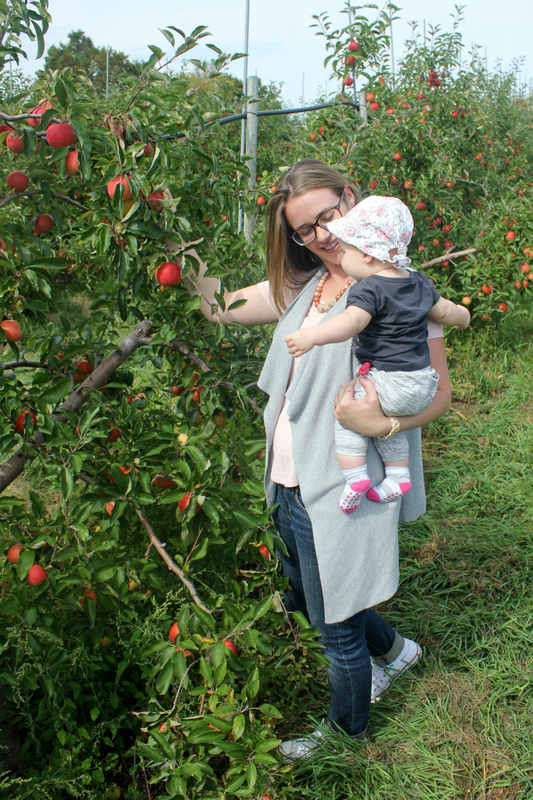 I love learning about where my food comes from and knowing that what my family is eating, and drinking, was grown with love right here in Ontario. We can't wait to continue the fun fall family tradition again next year. Lately, I've been loving these Aquarius Rectangle eyeglasses in Tortoise from GlassesShop.com. While I've needed glasses since I was in 8 years old (I know, poor me), for the past ten plus years I've opted for contacts. As a result, I usually don't spend a lot of money on eyeglasses. 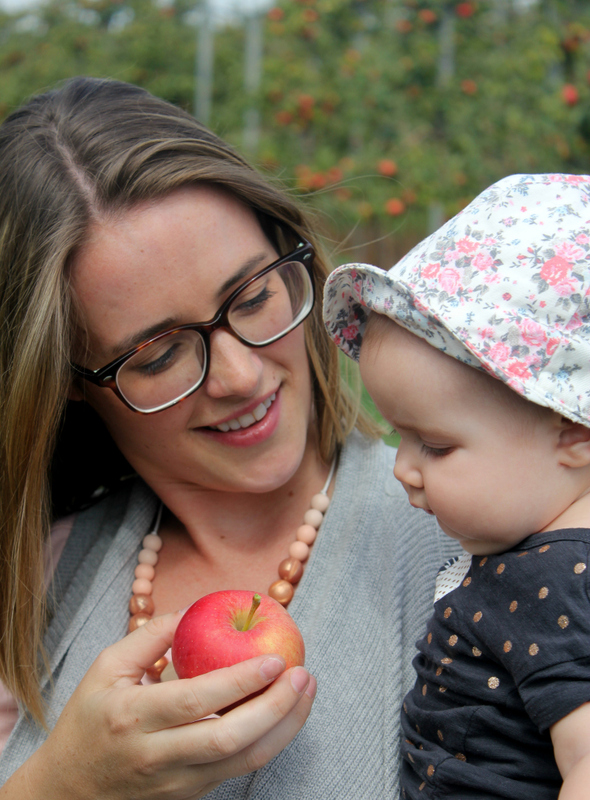 Since I do like to switch things up and put on a fashionable pair of specks once in a while, these affordable glasses are the perfect solution! Aside from being affordable and stylish, they also fit my face comfortably and are very durable, which is extremely important when you have a little grabby hands that loves to rip them off your face. 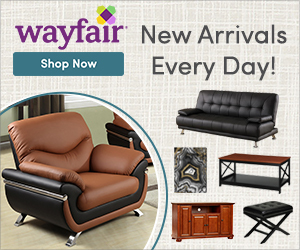 If you're in the market for a new pair of glasses, GlassesShop.com has a huge selection of affordable and stylish glasses frames, including prescription sunglasses. Use code GSHOT50 for 50% off your next pair of eyeglasses or sunglasses with free lenses (sale frames excluded). Fall hours: Open daily at 9:00am. Last cars in for picking – 5:00pm. Winery is open until 6:00pm. 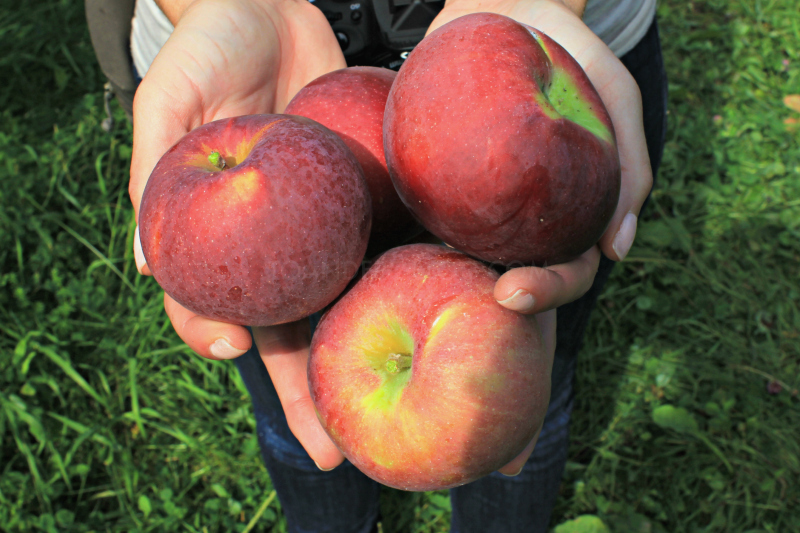 *Apple picking season runs mid-September to mid-October. Check website for availability. How do you celebrate fall with your family? Do you have any fun fall family traditions? *I was provided a free pair of prescription glasses and lenses in exchange for this review. All opinions are 100% my own. Thank you to GlassesShop.com for helping me see clearly!